The Civil Engineering Applications for Marine Sediments interregional project comes to an end. It involved France, Belgium, Ireland and the Netherlands and aimed at proposing a decision making support tool for the assessment of marine sediments management, including their reuse in civil engineering applications. Indeed, the problem of dredged sediments management can turn into a great opportunity for civil engineering through the provision of significant amounts of secondary materials (predominantly sand and aggregates) used in the industry (particularly those that are scarce in some areas due to intensive quarrying). The main goal of the study was to perform a comparison of different sediment management systems (including valorization in civil engineering applications) while exploring the sustainability of different global sediment management procedures and complying with ISO 14040 and 14044 standards. The LCA report went through a critical review performed by CIRAIG. Marine sediments are deposits of fine particles with an average size ranging from 10-6 to 10-2m. They originate from marine water bodies, rivers’ upstream or even from the atmosphere itself. The source of these particles can be natural, coming from plant/animal debris, from natural erosion, or from anthropogenic (industrial and agricultural) activities. 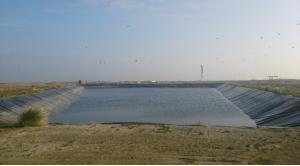 The phenomenon of particles sedimentation in water is particularly important in areas of low flow, such as estuary ports where deposits can pile up and potentially obstruct canals. 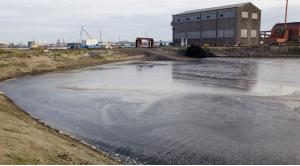 Not only tens of millions of tons of sediments are extracted each year in Europe, but dredged sediments are also often contaminated (Cabana, Lesven et al., 2010). A Life Cycle Assessment was performed to corroborate the reliability of the different sediment managements in North western Europe. The following stages: dredging, transporting and dumping were the common phases between all the eight scenarios presented. The study was conducted using the Life Cycle Assessment method, according to ISO 14040-44 2006 standards requirements and followed the recommendations of the International Reference Life Cycle Data System (ILCD). The final outcomes are the results of several iterations. The LCA started with a screening work, completed with complementary investigations for key specific data from CEAMaS partners and literature surveys. Additionally, several complementary analysis were performed such as identification of hotspots, data normalization, data quality indicators, sensitivity and uncertainty analysis. All of them were completed with a mapping of missing substances in the systems characterization. To begin with, the most impacting steps/stages inside each system where identified by contribution analysis; afterwards their sensitivity was tested to corroborate their actual relevance in the entire management system. 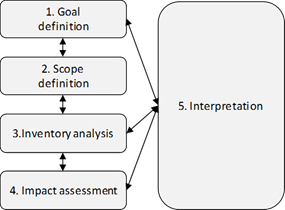 The environmental impacts analysed were characterized on seventeen impact categories. However the study faced several limitations. These limitations were specifically described for each scenario (nevertheless all the scenarios shared common restrictive limitations). These limitations included i. the impact of the dynamic release of pollutants, ii. biodiversity impacts and iii. the end of life assessment of the products produced with sediments. All scenarios if they were occurring in the same conditions of transport and electricity mix. Promoting a favourable reuse of marine sediments in civil engineering applications, in a sustainable, economical and socially acceptable manner. For more information on CEAMaS, please contact: t.debuigne@cd2e.com.